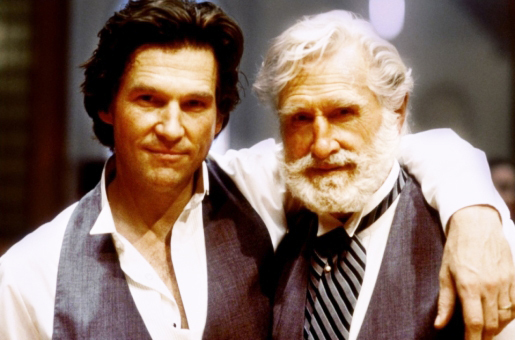 Jeff Bridges learned the joy of acting from his father, the late Lloyd Bridges. The 63-year-old recently explained on Larry King how he and older brother, Beau Bridges, grew up on Hollywood sets, such as the popular syndicated TV series “Sea Hunt.” The boys have a younger sister, Lucinda. Their little brother, Garrett, died from sudden infant death in 1948. At seventeen, Jeff toured the nation with his Dad and the stage production of Anniversary Waltz. Lloyd was a teacher to his two boys, and an appreciation for acting was contagious. Besides appearing with Dad on “Sea Hunt,” Jeff was all over the silver screen, from 1974’s Thunderbolt and Lightfoot to Tron and Against All Odds in the eighties. Jeff later portrayed The Dude in the modern classic The Big Lebowski. Proving his talent for diverse roles, Jeff Bridges took home an Oscar for his brilliant portrayal of country music star Otis “Bad” Blake in 2009’s Crazy Heart. The following year, he earned another nomination for Best Actor in the Coen Brothers’ western True Grit. Regardless of his timeless roles, sharing screen time with family made it even better. Jeff loved working with his Old Man in 1988’s Tucker and Blown Away in 1994. Father and son had a ball playing on the sets. 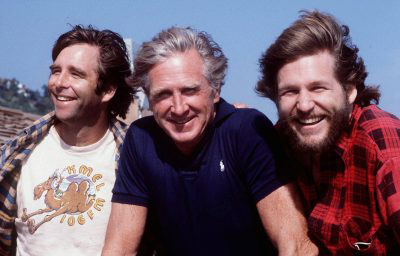 Lloyd Bridges, middle, with sons, Beau, left, and Jeff. Jeff was never in competition with his brother, fellow-actor Beau Bridges. Cast together in 1989’s The Fabulous Baker Boys, the siblings were always on the same team, motivating one another. Besides Dad, Beau was Jeff’s mentor. Beau also took on the role of surrogate father when Dad was away at work. In 1977, Jeff met Susan Geston on the set of the western comedy Rancho Deluxe. They were soon married. Motherhood and fatherhood was just around the corner. Jeff and Susan are the proud parents of three daughters; Isabelle, Jessica and Hayley. However, none of them want to go into acting. Jeff became a grandfather in 2011 with the birth of Isabelle’s daughter, Grace. His dad, Lloyd Bridges, was part of the U.S. Coast Guard in WWII. He met his wife Dorothy at UCLA and tied the knot in 1938. Spending six decades in the business, Lloyd was a star on Broadway, as well as TV and more than 150 movies on the big screen. Middle-aged Moms and Dads may best recognize Lloyd as the gentleman who “picked the wrong week to quit smoking” in 1980’s Airplane. In 1998, Lloyd Bridges passed away at age 85. 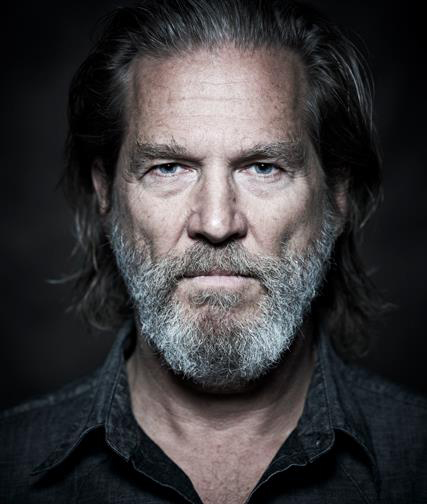 Click here to discover more about Jeff Bridges’ impressive career on his personal website or join 60,000 others who follow him on Twitter @TheJeffBridges. As the movie slogan proclaims, The Dude abides. The Dude lives on.